Boca Resort is well....how can I put it? 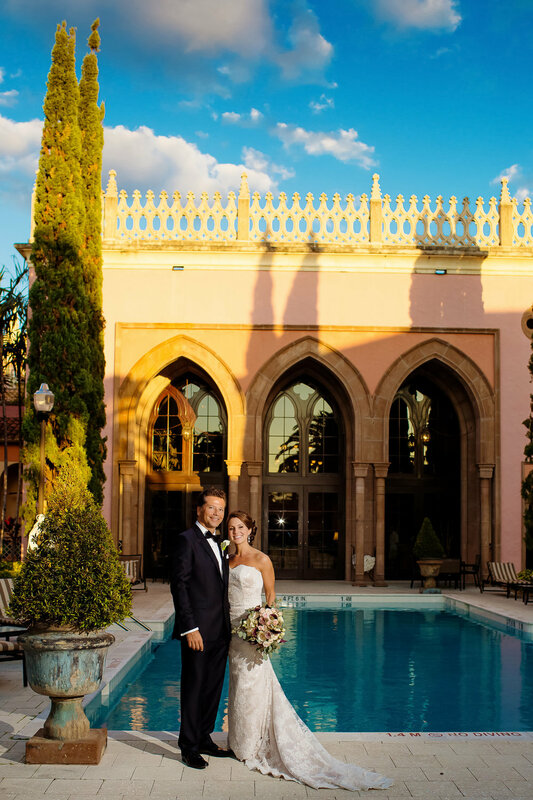 Quintessentially Boca.......built in 1926 this pink historical hotel is renowned for its service and architecture and it truly delivers on all counts! Having worked there many times before when Lori and Michael called from NYC to plan their destination wedding I was all ears! 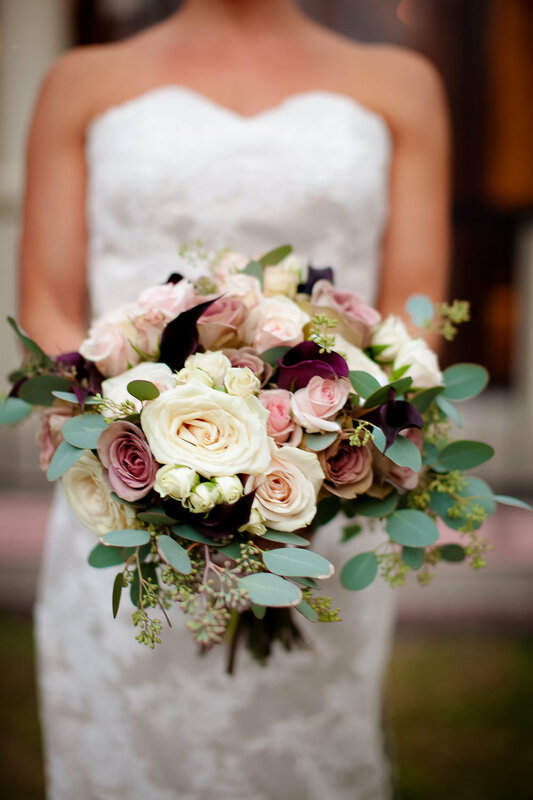 Lori had a good idea of her style, classic soft and romantic with muted shades of lavender. So we created a custom chuppah in a dusty lavender lamor with a mix of greenery and blooms the lighting was used to high light the Cathedral room and draw attention to the moment their hand written vows were exchanged. 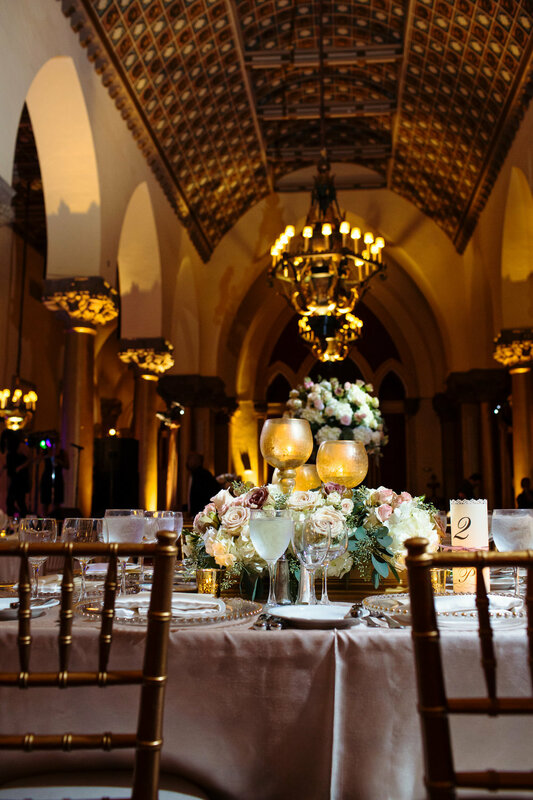 For the reception, also in the Cathedral room we we hand crafted a mix of high and low centerpieces to add depth and dimension the the space with touches of gold for a cohesive look. 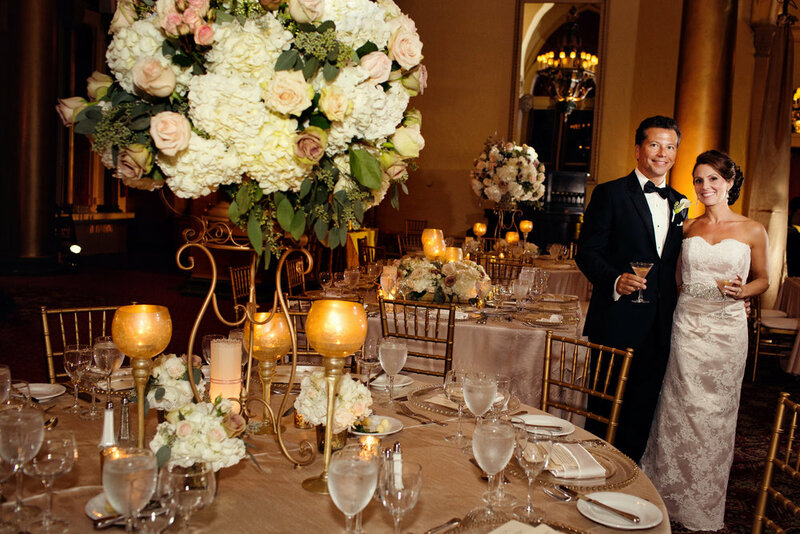 We adore this couple and feel truly blessed to have created their dream wedding!